The special adhesive does not leave any residue when removed so cleaning between applications is not required. When removed or tampered with the label will read "VOID OPEN" repeated over the entire label surface. Once lifted the label can not be reused or replaced with out showing tamper evidence. 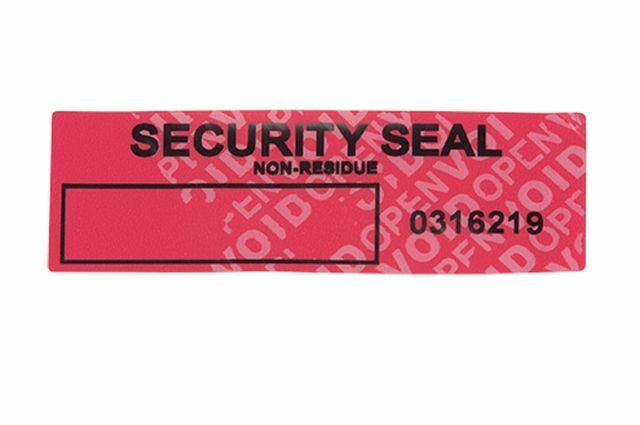 The NR-Label is perfect for hotels, airlines, banking, and numerous other security applications. The label features a unique serial number and an area which can be used to record application date, the installers name, or other coded information. 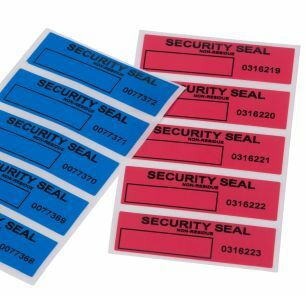 Label size is approximately 1" x 3" labels are on rolls of 100. *Note extreme temperatures or some thermal tampering methods may cause the tape to leave a residue. Residue should be considered a sign of possible tampering and should be reviewed.